OK, folks – with any luck I’ll be on my way home in about three hours, and should get in early Monday morning – at just the right time to grab a proper lamington and pint of Farmers Union Iced Coffee from Vili’s Bakery 24 hour cafe out near the Adelaide airport on the corner of South Road and Manchester Avenue. I have to say for the record that it’s been a long run … but a good one! We’ve worked with new distributors in four states of the USA – thanks Fedway in New Jersey, Winebow in New York, the Lemma family up in Portland and The Wine Company in Minnesota – plus three provinces of Canada – thanks B & W Wines in Ontario and Pacific Wines & Spirits in British Columbia and Alberta. We had another dream program with our good mates The International Vancouver Playhouse Wine Festival; and we caught up with old friends Bacchus in Maryland, Heritage in Illinois, Vintage Wine in Ohio, and Henry Wine Group in California. Wow … when you look at it like this, we have been busy! But here’s what we didn’t do! We didn’t go to Texas and visit with our human Yalumba fortress, classic wine man, keeper of the traditional trail rides into the Houston Livestock Show and Rodeo, and organizer of the wine show that goes on each year within the program of that massive event. Who would I be talking about? That would be Bear Dalton. And Bear … you’re on my list for the next trip come the end of this year plus March next year. I definitely want to see that Chili Fest and BBQ cookoff at least once this lifetime! So sorry I didn’t get there this year – but mark my words – I’ll see ya next trip and cart something special from home and across the Pacific for dinner. Thanks again for the ongoing support – hope all goes well and I’ll see you both when the mud dries! So goodbye United States ofAmerica, thanks for being good to us this trip, and we’ll see ya in September … especially this lovely bloke that I ran into the other night down on Hollywood Boulevard. They do not look like this in Angaston, Barossa Valley, South Australia. Back to the keyboard here, folks, as I have a chance to catch up a lot of the events that didn’t get written up as we worked our way across the country. So here’s a double header from three days ago – Monday 26th March. We had the ‘meet and greet’ tasting and early dinner with our distributor team from Los Angeles city organised for Public Kitchen and Bar inside the Roosevelt Hotel – the gracious older lady of Hollywood Boulevard that’s still sashaying along on a grand scale. But before we met up with everyone, Dave T and I slid in early to 25 Degrees, which lives in an old bar space inside the walls of the Hotel, fronts the Boulevard, but is a separate operation. 25 Degrees is a ‘Burger Wine & Liquor Bar’ that specializes in 24 hour access to not just good but GREAT burgers – either ground sirloin beef, turkey, yellowfin tuna, or veggie. The serious approach is there in the name of the place folks … ’25 degrees’ is the temperature difference between delivering properly cooked medium rare and well done burgers! Now why were we there? Because the folks at 25 Degrees have given us a chance to showcase our wines with the best burgers in Tinsel Town! Our Yalumbe Eden Valley Viognier and Y Shiraz Viognier are on the short but shiny wine list by the glass, by the square old style quart milk ‘jug’, and by the bottle. The Y Shiraz Viognier is an excellent workhorse here, and goes with just about everything on the menu – not just the ‘craft your own burgers’, (14 sauces, 14 cheeses, extras from portobello mushroom to jalapeño bacon … and even fried eggs for us Australian types!) but even the super special Sonoran Boback Hot Dog. Check this out, and I promise you it’s exactly as listed on the menu – no embellishment from me! “Bacon wrapped / caramelized onion / tomato / pinto beans / Hatch green Chili / queso fresco / mustard / garlic aoili”. PS for those readers who don’t know a lot about the chili world in the USA – Hatch is the southern New Mexico town acknowledged as the best place in the country to grow chili plants. They have acres and acres of the stuff, and the locals tend to like their chili ‘Xmas style’ – which means half green half red. So as you can see, it’s not just any old burger or hot dog here! And by the way, the EV Viognier is tailor made for the yellowfin tuna burger, plus the beet and kale salads. We had a good time chatting with the staff as they changed over shifts whilst we were there – giving them all the right info to back up the wine and food combos. 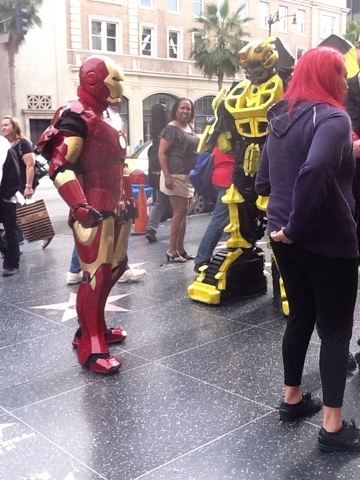 That’s Ironman and Transformerman having a chat in front of Manns Chinese Theatre, and 25 Degrees – essentially part of the front wall of the Roosevelt Hotel – is diagonally opposite. You’ll also know you’re in the right place if you’re sitting at the counter on very plush high top swivel stools or in the chesterfield style deep buttoned leather booths, if the wallpaper looks like it’s from the set of “The Best Little Whorehouse In Texas” – that crushed velour burgundy flock stuff – and if the wall behind the bar around the open kitchen order window is that seventies chequerboard mirror look. They’ve had a few morphs over the years in here, but 25 Degrees has landed as a very comfortable place to hide out and knock over a top burger. We like it, and we love being there … thanks a stack 25 Degrees … see ya when we’re back in September. First in the “Give yourself a giggle” series! Hi, folks – this is the first in my new series of interactive blog posts which are designed for you to have a bit of a giggle in what is a pretty seriously difficult economy and world in general for most people right now. So I’m taking it on myself to give you a bit of a lift at irregular intervals … as circumstances provide the opportunity! So here’s number one! 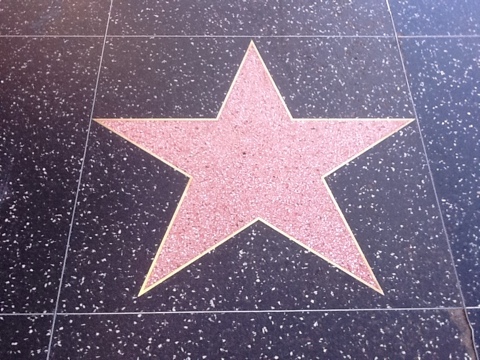 Print out this photo below – it’s a genuine blank star on the Hollywood Walk of Fame near the Hotel Roosevelt – in colour on A4 card or American letter depending on where you are – and block print your name in big letters across the star. Then pin it or blutack it somewhere in the immediate vicinity of where you sit, because you folks are stars … to somebody … somewhere! I happened to be right there as your celebrity chef went past, having a running exchange over his shoulder with a papparazzi photographer who wanted to get a shot! 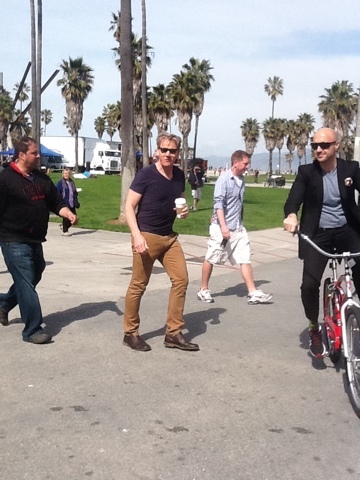 Recognize the talented Scotsman anybody? Morning, folks, I have the day off today, getting picked up to go to the airport at 7, and the plane leaves at midnight for the first leg of the trip home via Kuala Lumpur. 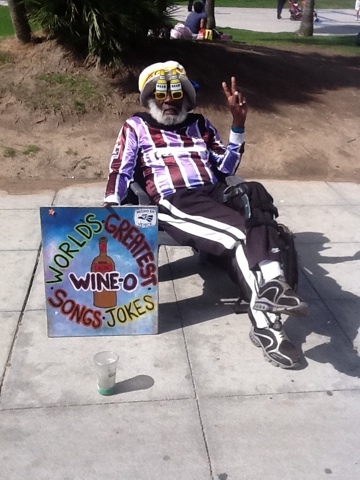 But right now I’m off on the super duper de luxe tour of LA – the beaches, the stars homes, the Hollywood Sign – the works! And I bought the map so I can go back later, as this is … “the map the stars don’t want you to have”! 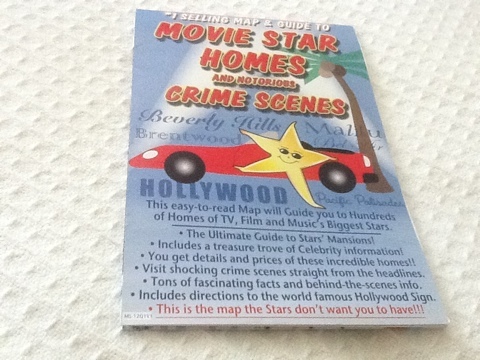 And on the tour, we’ll be going by some of the locations of old school “Hollywood” used in making the film of James Ellroy’s cult classic story ‘LA Confidential’. 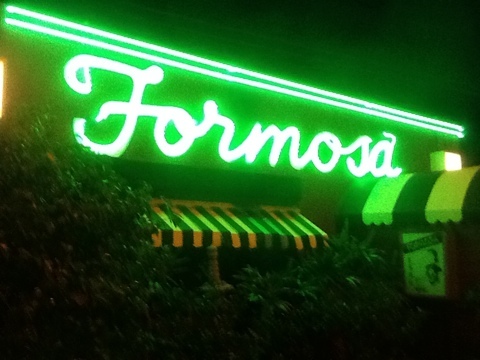 After work last night, we went to the Formosa Cafe – still in the original location since 1929, owned and run by the grandson of the bloke who built it! It’s on Santa Monica Boulevard, and the big green neon “Formosa” is hard to miss! 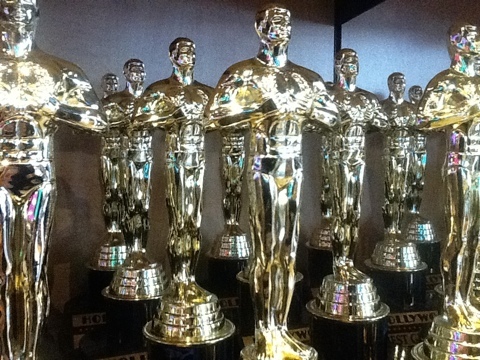 Howdy, folks, living in Hollywood – even for just three days – is living the dream! 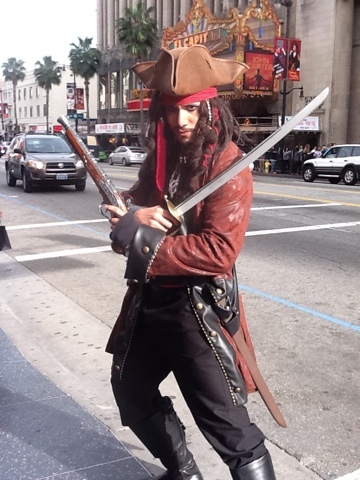 You walk along Hollywood Boulevard and it’s glitzy glam, nutty, homeless, gangsta, touristy, high rolling and dress up … all at the same time! We worked last night at ‘Public’ the Bar & Grill at the landmark Roosevelt Hotel, right on the Boulevard – and it’s just like being in the movies. This is the same hotel – although largely remodeled- that Montgomery Clift lived in for 3 months whilst filming “From Here To Eternity”, the same hotel that Marilyn Monroe preferred to stay in, the location of the first ever Academy awards in 1929 … and there we were last night, talking Yalumba in the back salon of ‘Public’. Who knows what deals, what romances, what scripts, what scandals might have gone on in exactly the same place once upon a time! High Desert crazy times on Sunday! I’m going to keep going with the catching up…..so here’s my story from Sunday! The moral of the story is…..always check the weather report first! It all started with a trip out to the outlet stores folks……because the time has come. Big Blue my suitcase is now carrying too many damaging injuries, and there’s only so much gaff tape you can keep layering on before you have to say ‘enough’. He’s making one more trip home, and then getting retired to the cottage to store the winter blankets. It turns out that Samsonite had a sale on, so I have a new style hard shell that will be making it’s first run to Australia this Wednesday night via Kuala Lumpur – an impressive debut. 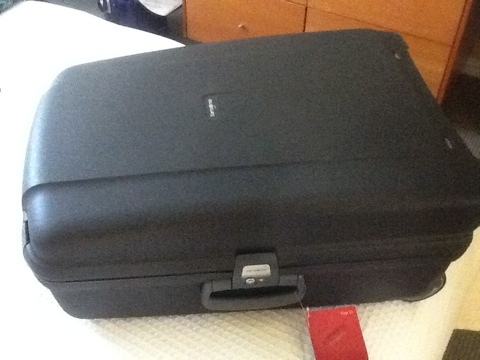 PS Remember the little American Tourister Classic that I picked up in New Jersey? I’ve kept a log of what we’ve done together, as I’ve always been curious how many actual mile we and our luggage actually do each year. So far, it’s done – quick addition – 11,978 miles or 19,236 km! Wow, no wonder I feel weary! 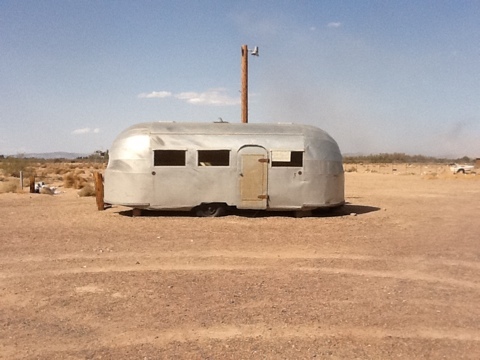 Any rate – here’s the new road trip offsider – I’m going to call it the Grey Crab. Why? Because it’s got a hard shell and all the goodies inside. Let’s hope he travels well. 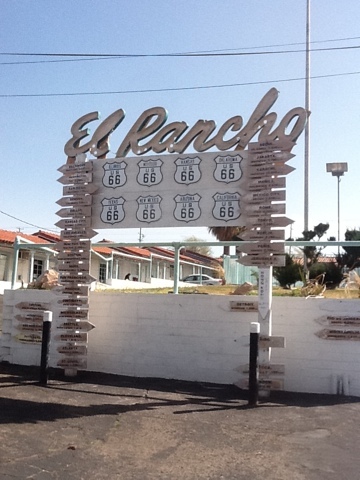 So with the shopping done, I thought I’d go for a drive up through the Cajon Pass and follow Route 66 out to Barstow – check the museum out – and find the filming site for The Bagdad Cafe, which was a few miles beyond Newberry Springs, itself just north of Barstow. That was the plan. It was overcast but t shirt weather in Los Angeles, but I did notice the rapid drop in temperature when I refueled at The Summit – 4400 odd feet at the top of The Pass. And it did start to rain heavily. 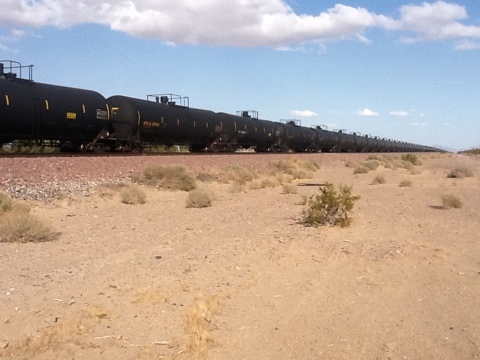 But then up in the high desert from Victorville to Barstow it was hot, dry and dusty. Back to a t shirt and never gave the pass a second thought. Here’s the run out to Barstow. You can see what I mean – no hint of bad weather. 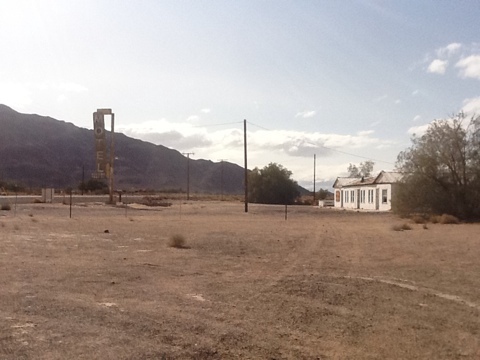 Then I went on to find The Bagdad Cafe – not the original cafe, which was on another old alignment of Route 66 further into the Mojave Desert – but the filming location. 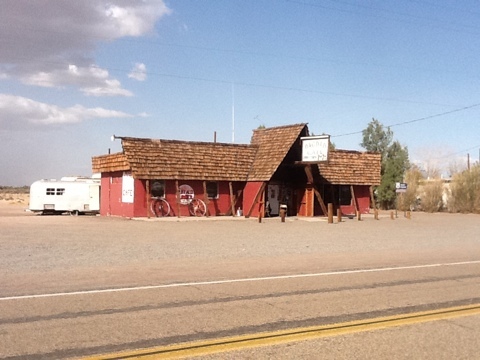 It was built on Route 66 back in the 1940s to look after folks making the long cross country trek west, and was actually called The Sidewinder Cafe when they made the movie. But it got renamed when the 1988 movie started to get this cult status thing happening and took on the movie character’s Bagdad Cafe tag for real. It’s now owned and run by Andrea Pruett, who was good enough to have a long chat with me after a couple of big tour buses left. If you haven’t seen the flick, check it out. It has a unique theme song called “Calling You” and Andrea pushed 144 on the old juke box by the door, and out floated the warbling Jevetta Steele tones, rolling around the empty room like a coin bouncing around in a bottle. Talk about a song feeling lonely! Did i mention that the needle crackled through the very worn grooves of the old 45 record spinning on the turntable? Yep…..vinyl…..original! But have a look at the place…..and the wind was literally whistling around the buildings and the odd scraggly pine…..
It’s an oasis, and they’re definitely survivors….here’s the neighbours….. I asked Andrea how she ended up out here, and wouldn’t you know it – there’s a man involved! She and her husband came out to the high desert to farm ostriches and they bought the cafe after the film was made when the ostrich enterprise didn’t really work out. Andrea showed me a picture of her husband Harold – who has passed away – and I can see why she’d want to follow him wherever he was headed – he’s the spitting image of an older Errol Flynn! Any rate, she’s done a sterling job to keep it open – 7am till 7 pm every day – for the European film buffs and the Route 66 Roadtrippers. But it’s pretty desolate folks, and Andrea did say it gets really hot come summer. They have a ‘swamp cooler’ – no refrigerated aircon out here – and it does it’s best! But I’d give a week’s pay to be there when a group comes in for an evening and they crank up the jukebox, and they dance in the aisles and out in the street. It wouldn’t be lonely times then. So I finished my coffee, thanked Andrea for her hospitality and wished her all the best with the screenplay that she’s written outlining the ongoing trials and tribulations at The Bagdad Cafe – she’s hoping to finance another movie – and turned back west, expecting to be in Los Angeles for dinner. I got to Victorville, and that’s where the interstate freeway I15 ground to a 5 lane crawl. Thinking it was just a massive amount of traffic coming back from a Las Vegas weekend, I took the GPS “least use of freeways”, got off the interstate and headed for LA via another route. Now you know what happened last time I did that – yep – I ended up crossing the Ohio River on a barge!! I have to get set for the job tonight, so I’ll leave it there and tell you what happened when I get back. That’s where the adventure comes in! 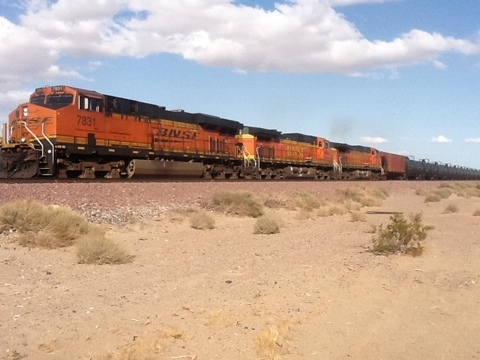 OK patient readers – I will finish the story of the high desert follow the GPS adventure. 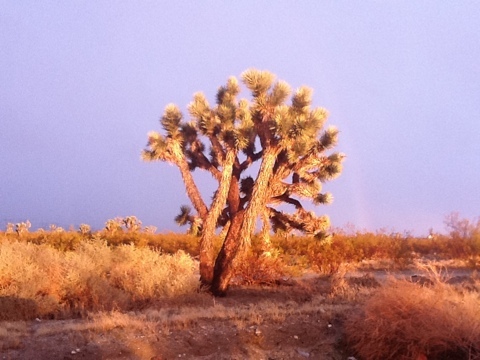 So I’m trekking along and all of a sudden I notice snowcaps to the left of the road up behind the Joshua Trees. I didn’t see ANY of that on the way up, so pulled over and reset the GPS to go to Los Angeles via the most direct route – which would take me back to the freeway I’d left back near Victorville. 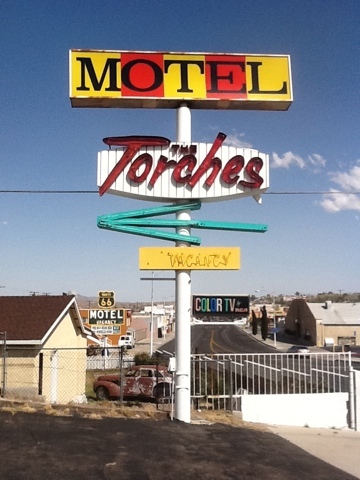 It was about now that I got just a shade nervous – having been caught out by snow up in the high desert once before about 4 years ago – around Clines Corner, which is east of Alburquerque in New Mexico. I’d got lucky that time, as the rental company had upgraded me to a proper 4 wheel drive, and I followed a cowboy towing a rodeo trailer down off the interstate into the ditch alongside and up a steep incline out and around the completely snowdrifts stopped 5 lanes headed east, and went to Santa Fe back through a non snow closed route!! So as this new GPS plan unfolded, it was taking me on highway 138 – Antelope Way – directly toward the snowcap. 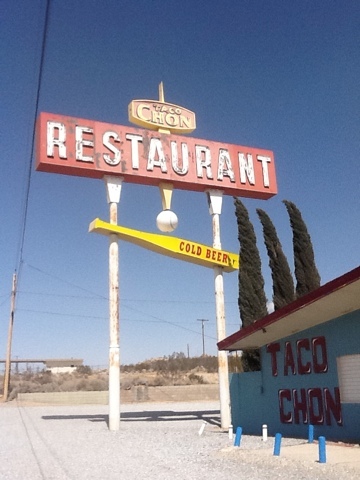 I had a 4 wheel drive Jeep, but no chains, so I stopped in at the snow covered service station at the little town of Palmdale and asked about the pass – yep the one i came up earlier and it was just wind and rain – and decided to give it a crack. It was the longest 12 miles ever, and it was pretty alpine I’ll have you know. But I rejoined the interstate just below the Summit and made it into the city late….but safe. Whoever that guardian angel is that rides along with me……they were working overtime that night!